Most people may not know what a school full of people with guns can look like, but we damn sure know what a school with only one person with a gun can look like. Look to Utah for an example. For more than 10 years Utah has allowed ANYONE with a Utah CCW to carry in any public school, K through College. Staff, administrators, teachers, parents, friends, or neighbors... anyone. They have a nice peaceful, well armed school system. Thing is he was also security in the school who better to have been armed? 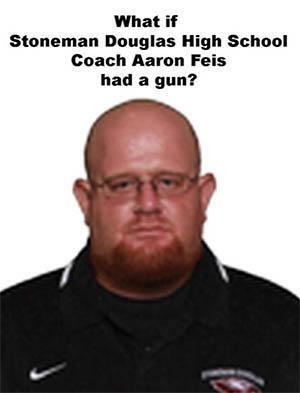 If he was known to be the school's security officer, anyone would be better to be armed. If he were known to be carrying, he'd have been either avoided or shot first.